Like many great PC games, if they are successful enough an expansion pack will be released. Titan Quest is no different. This wonderful action RPG, which plays like Diablo II and is based largely on Greek mythology, has one expansion available called Immortal Throne. One thing you should know about Immortal Throne is that it’s more like a remake of the original game than an expansion. Most expansion packs work by letting you continue your regular game with new options available. This one works by making you start the game over from the beginning. I was almost finished the original Titan Quest when I bought a used copy of this expansion on eBay, so I ended up having to start the game over to get all the goodies that come in the expansion. Having to start over from the beginning has some advantages, but I found it quite annoying. It is good in that you keep all your stats from before, so you can start from the beginning at 30th or 40th level with no problem. However, it isn’t much fun when you kill everything with one hit, because then it just becomes a tedious chore to fight back up to the point where you left off. It does go faster the second time around, but wasn’t as much fun. You can always just create a new character when you start over, though. As far as this expansion pack goes, it offers quite a lot of additions to the game. The main feature is that it gives you a whole new Act to the game, which can take you many hours to play through. It also adds a bunch of new quests and monsters to fight. The reason it makes you start the game over from the beginning is that is also integrates a bunch of new features into the game that show up from the start. These new features include extra storage at Caravans, a new equipment type called Artifacts, the ability to get Artifacts made, a higher level cap of 75, and even a new skillset called Dream Mastery that offers a variety of really cool powers to use against your enemies. In addition to the in-game features, this expansion also includes a bunch of technical improvements to the original game. You’ll notice the interface for the multiplayer lobby has been changed, from the screens look a little different in the game. A few little graphical touches have been added for subtle effect. It really is a complete overhaul of the original title. 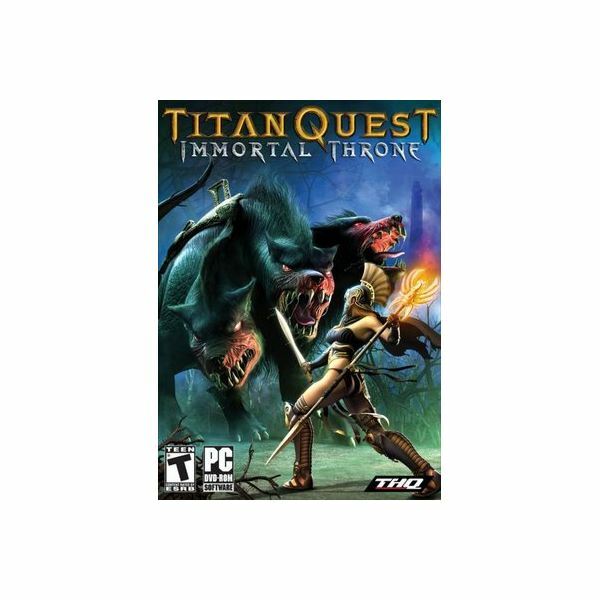 If you get the Titan Quest: Gold boxed set, it comes with the original game as well as the expansion. At that point, you might as well just install them both. If you have already played through the original and don’t want to do it again, then you won’t get much out of Immortal Throne.